Sunday 22nd September was booked in as The Big Day. It was the equinox, which felt like a good omen, both Gary and I were at home to supervise and, perhaps most importantly, the humans were going to the pub for lunch and a stiff nerve settler beforehand. 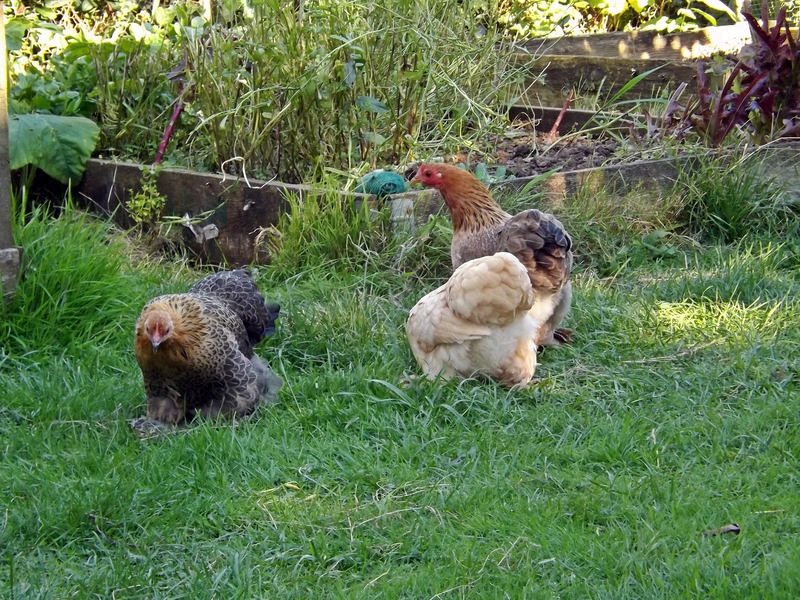 On Friday evening the bantams’ wings had been clipped as they had been shooting around their run like little feathery jets and, after the Colin incident, I didn’t want them to fly over the fence into the Big Girls’ Garden. Sunday morning saw their run adapted with a little gate so they could come and go and we could lock them back in afterwards. Pub lunch was eaten, we were ready and I felt sick with nerves!! 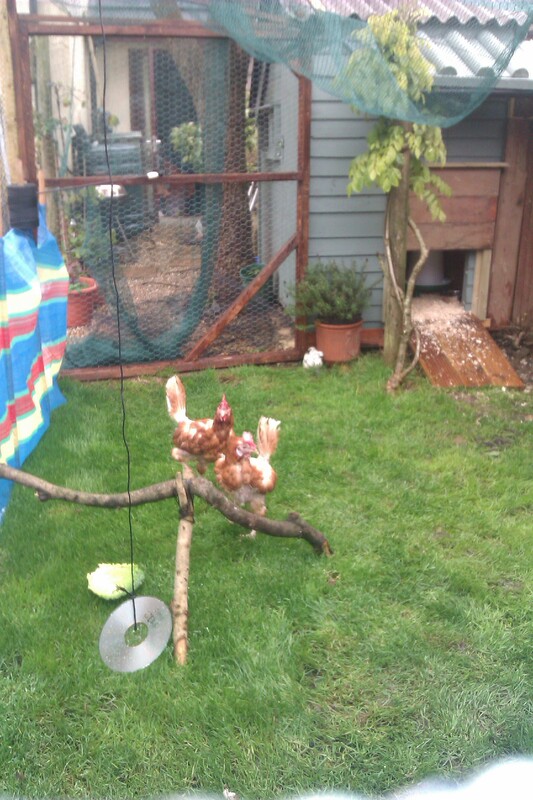 After seeing Effie fight beak and claw with Gracie, Bella, Eliza etc and saw her hounding a terrified Hettie, I dreaded a battle with the bantams. But I am delighted to report that it all went rather well. 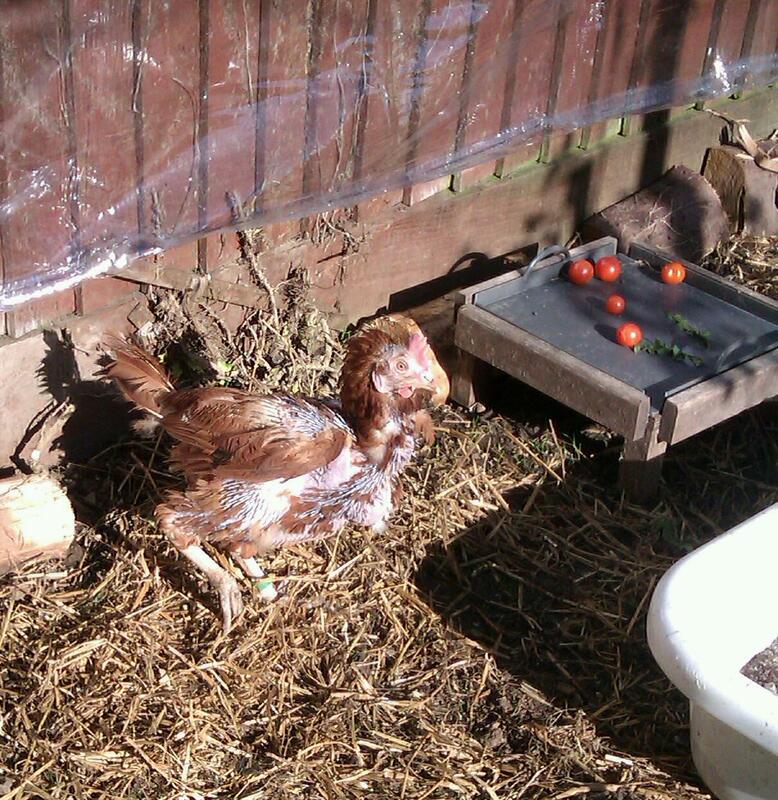 Effie walked straight into the run, and had a dustbath in the bantams’ flowerpot/dustbath whilst the babies watched. Inca tried to clean Effie’s tail feathers and Effie gave her a ‘look.’ Inca scuttled off. Effie then explored the babies’ run and coop before giving Inca and India lemon Drop a gentle (for Effie) yet stern peck to ascertain her Big Sister/Top Hen role. 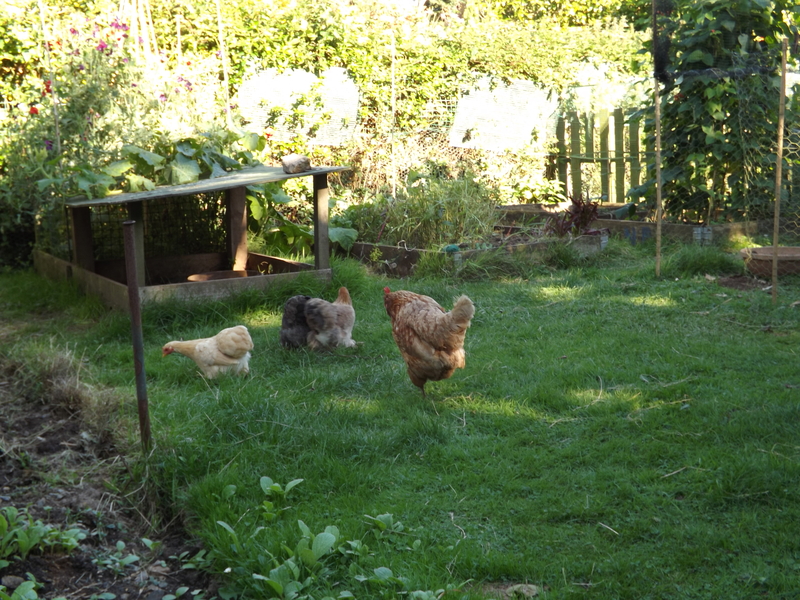 After that she wandered off whilst the bantams braved life outside of their run and explored Effie’s Garden. Effie came over a couple of times and the babies scurried back into their run. Which I was very pleased with as firstly Effie knows she has no competition for her Top Hen position, secondly that the babies all stick together and lastly that they go straight back to their run if they are frightened. The babies followed Effie around for a while keeping a safe distance and eventually trundled back to their run and went to sleep, exhausted after their adventures. All in all a very successful first meet. I will keep letting them out for a supervised hour or two each day and lengthening their time together. I am finally cautiously optimistic that my darling Effie will at last have some friends again. Much as she loves cuddling down with Malcolm her cuddly duck each evening, the night she tucks up surrounded by her three bantam babies will be the night I know my most precious girl has found love again. My chickens have changed my life in so many wonderful ways! They have made me laugh, they have filled my life with joy, they have saved me from the brink of despair and highlighting their plight has given my life a real meaning. At last I can make a difference, albeit a tiny one, in the lives of some of the beautiful creatures we share this planet with. Another, and completely unexpected, way was to let me finally realise my dream of becoming a writer. Writing to me is the best, and sometimes only, way I can express myself. As a lifelong stutterer I have never been able to say the things I wanted to. Anyone who stutters knows you become a self-editing machine and sometimes it is easier just to say nothing at all. But by writing I finally have a loud, clear, eloquent voice that people listen to. Ever since I was a little girl I have wanted to write a book; I used to write long, rambly (rather rubbish I am afraid) stories, and send them to publishers. Unsurprisingly I never got a reply! As an adult I continued to try and write novels but eventually realised that I had the imagination of a peanut. ‘Write about what you know,’ they say, but until my girls came along I didn’t really ‘know’ that much about anything! I had, however, been lucky enough to spend some time writing for and editing a newsletter for my friend Brigit’s wonderful charity, The Big Green Idea, which gave me that first little confidence boost. The thrill of having someone read and comment on what you have written is indescribable! I was ‘speaking’ and someone was actually listening! Then my first three A girls arrived and suddenly everything just slotted into place! My girls became my life; changing their lives became my mission. Audrey, Agatha and Aurora taught me so much about hen keeping and I was a willing (although possibly not too competent) pupil. Working in a library I had access to numerous wonderful books on hen keeping and I soaked up all that information. Suddenly, writing about them was as easy as loving and caring for them; it combined my two great passions and it felt completely natural, almost as if it was meant to be. I was lucky enough to start writing for poultrykeeper.com and then branched out into magazines. Miss Bunty Goodchicken being a Smallholder covergirl is one of the proudest moments of my life. She looked magnificent! 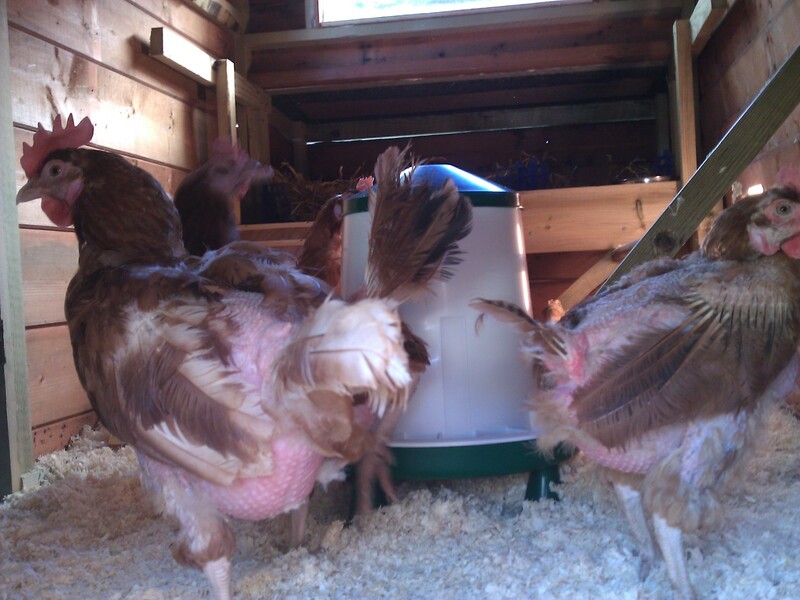 As I learnt more and more about ex-batts, people started to contact me for advice and help with their hens. It struck me that, with all the plethora of hen keeping books available, there was not one on ex-batts. And they are special girls who deserve their own special book. 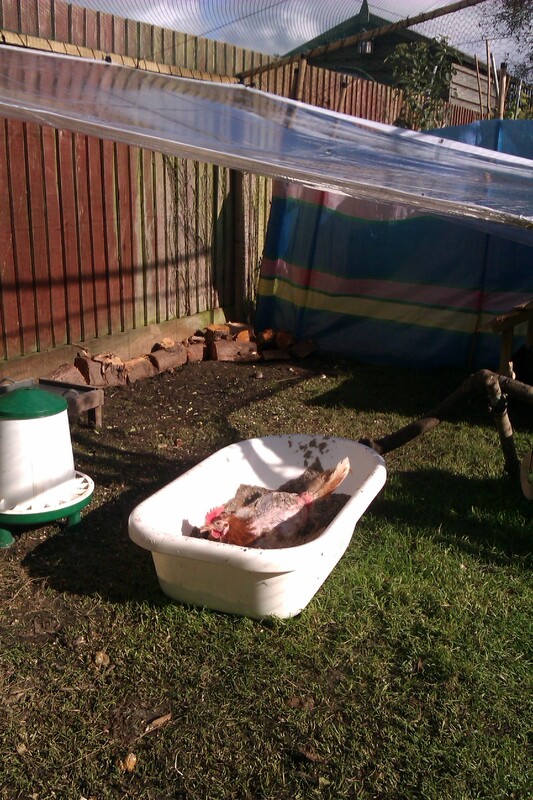 Whilst their needs are similar to ‘normal’ chickens, they can sometimes require a little extra care and attention. The book cover featuring Miss Audrey Chicken! Publishers, however, were not interested in the book so, bravely or foolishly, I went ahead and published it myself. It seemed more important to get the book ‘out there’ to help new ex-batt owners than it did to continue to plead with publishers. The book covers all the basics of ex-batt keeping and I have woven tales and pictures of my girls throughout the book. I hope my love for them comes across in these stories, and prospective or new ex-batt owners understand what precious girls they have in their care. A picture of every girl I have cared for appears in the book, it seemed very important that they all had their stories told; they are all individual and special girls after all. Back cover featuring Miss Bunty Goodchicken! My hope is that, firstly, the book encourages more people to rehome some ex-batts and save a few more girls from slaughter and, secondly, that it helps new ex-batt keepers have the confidence to give their girls the best care possible and experience the joy that is ex-batt keeping! 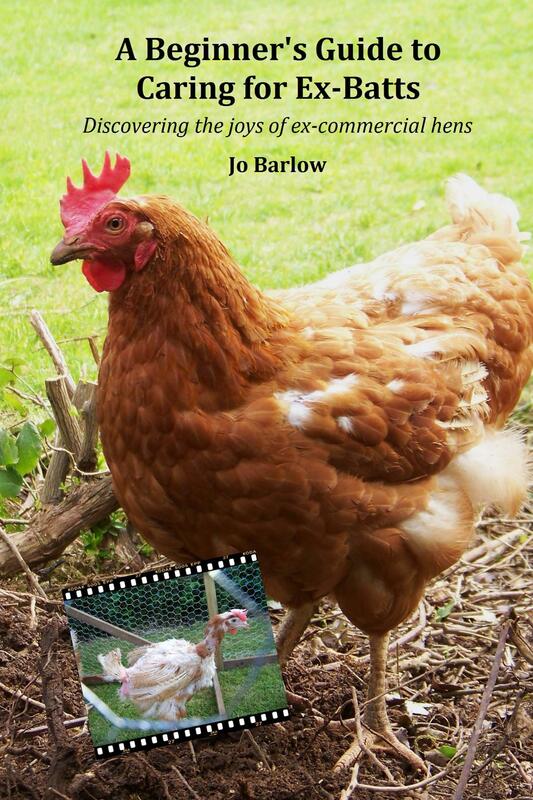 Each copy sold will raise money for the smaller hen rehoming charities and even if just one more little ex-batt is rehomed or helped then it has done its job. PS Effie says she is happy to sign any copies – with her special muddy footprint! Some very special things happen during a hen rehoming: precious lives are saved; hens are cuddled for the first time in their lives; wonderful, kind chicken-lovers from all over the county appear to offer a loving home to some girls and you get to meet some truly amazing people. But there is nothing better than meeting a new rehomer for the first time and watching as they discover the unadulterated joys of keeping exbatts. Two days before the rehoming a lady called Angie contacted me. Her mum was treating her to some chickens for her birthday and they had planned to buy some point of lay hens on the weekend of the rehoming. However, after seeing an article in the West Briton about the rehoming they changed their plans at the last minute and reserved four hens from me. Fate they called it. And I agree! Hen experience – It has been my dream for many years to have hens, our neighbours have hens that we look after when they are away, I have read many books on hens to gain knowledge and my friend also is an experienced hen keeper so I can pick her brains if I need to! Hen accommodation – My husband has custom built our coop and run, it is plenty big enough for many more but want to keep numbers small and give them the best. We have all they need ready and waiting, all we need now are some girls! Home for life– Yes! Absolutely, we have rescued dogs too (hence the need for a run for the chooks) Our animals are a huge part of our life and part of our family, the hens will be no different. You just know those girls will be spoilt!! Exploring their new luxury accommodation! Angie sent me some pictures of the beautiful, palatial coop and run they had built for their hens and so touched was I by this lovely home some of my girls would be living in I made a note to give her some of the more vulnerable, baldy girls. I knew they would be going to a good home. It is people like Angie that make the hard work of rehomings so very worth it. Lovely free range fresh air! I have tried to put into my own words all the updates that Angie has emailed to me but I think it is better in her own words. The way her enthusiasm, happiness and newly found love of her hens is captured in her emails puts it far more eloquently than anything I could have written. Dear Jo, Our new girls are called Violet, Daisy, Wendy and Beaker (my fellas choice that one!) They are settling in very well, we have had four eggs since their arrival so have thanked them all! Violet is the bravest and is always first out and last in, Beaker needs to catch up a bit but I am sure she will. there. We are so thrilled and could just watch them for hours, don’t get much else done though. They aren’t at all worried about being close to us and milled around the run today while Pete tweaked some areas, not so keen on the rain though! Warming her quills in the sunshine! Dear Jo, they are all doing well, personalities are appearing now! The grass however has almost disappeared, as we expected! They so enjoyed rooting around in their quest though. Their new feathers have started to sprout, Wendy in particular looks hedgehog like with them growing on her back. I bought them an old baby bath and filled with dry soil and play sand, so far Daisy (who is the most inquisitive) is the only one to venture in, the others will follow her lead I am sure. We have put up a “roof” over their run (clear tarpaulin) as it has done nothing but rain pretty much for the last week and a half, much more practical, I think they are a tad spoilt! We have had some lovely eggs, three at the most in a day, sometimes one or two, they are a lovely bonus. Daisy in her deluxe dustbath. Note the new tarpaulin roof! I feel blessed to be able to watch as Angie’s hens blossom under her love and devotion into the beautiful, happy, confident free range girls I know they will become. 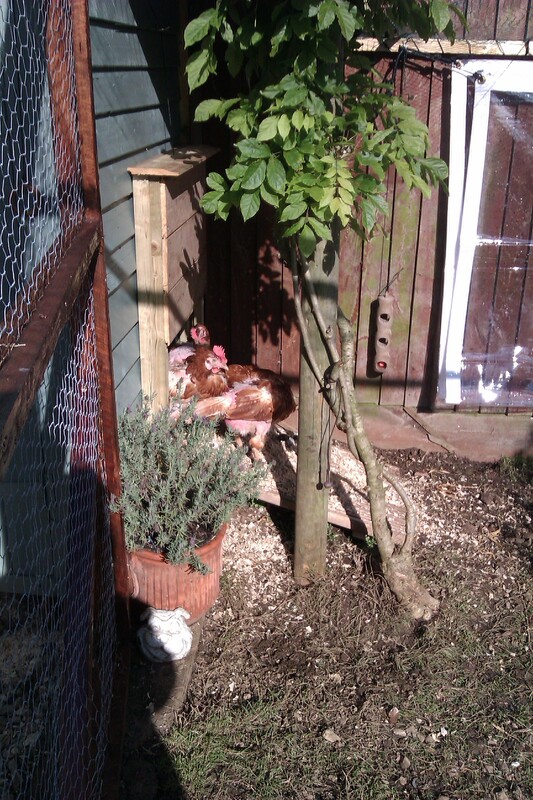 And just as the girls blossom, so will Angie’s love of her hens. 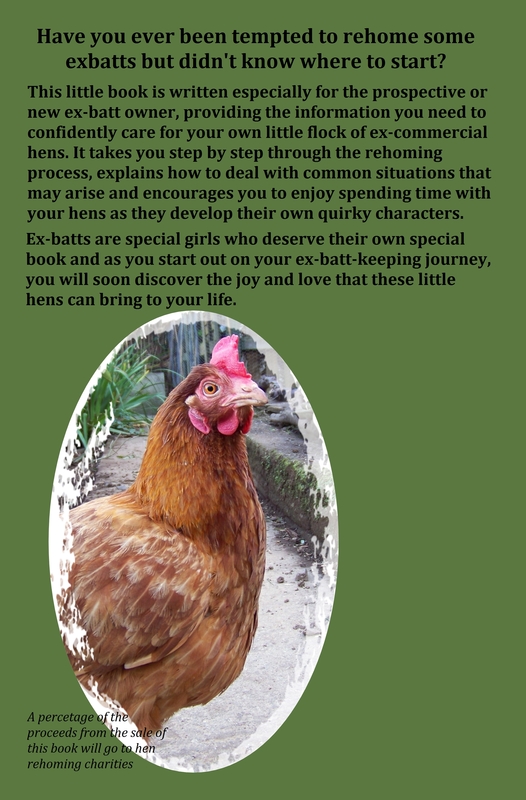 Finding out what an absolute joy and wonderful, quirky, amazing pets chickens are was a discovery that changed my life. I think it has already changed Angie’s.